Paolo is CEO & Co-founder of Vertical (http://www.vertical.vc/), where he heads the acceleration program. 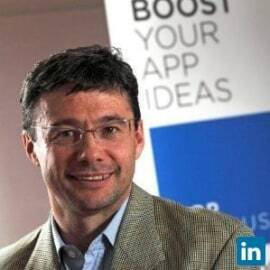 Paolo has been involved in business acceleration and startups for several years; as Director of AppCampus at the Aalto University-Microsoft-Nokia program with a 21M€ fund he helped accelerate the Windows Phone ecosystem across the world. His previous work included running a 7 million people, 10M USD/year online community as a Vice President at Fox Mobile Distribution in Germany. Earlier Paolo spent 12 years at Nokia serving as Director for the Portfolio Management for Service and Software go-to-market, spending five years in Singapore. Earlier in his career he developed his Change Management and Process Improvement skills with General Electrics, working in the ED&C Business in Italy and with a six-month rotation in the Corporate Audit Staff based in Albany, USA. Besides his passion for helping create new business and develop existing ones, Paolo is a triathlete and has a sweet tooth for sports related business and watches.